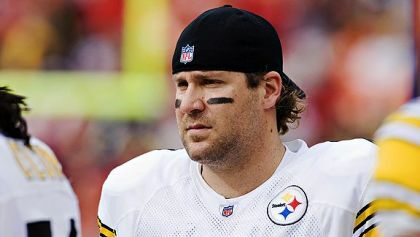 Ben Roethlisberger Accused Of Assault. Again. Quarterback for the Pittsburgh Steelers, Ben Roethlisberger has once again been accused of sexual assault – this time by a woman in Georgia. According to police the alleged assault happened early Friday morning at a club in Milledgeville, Georgia called Capital City; the alleged victim has already been interviewed by law enforcement. Reports are saying the Georgia Bureau of Investigations is also investigating. The alleged victim of the sexual assault says she was in the women’s restroom of the nightclub when Ben Roethlisberger entered; it was then she says the assault took place. So far no charges have been filed against Roethlisberger. Ben Roethlisberger’s reps of course are saying it’s all a big misunderstanding and deny that any sexual assault took place. TMZ has learned Roethlisberger spent some time at the Velvet Elvis in Georgia last night — before heading over to the Capital City Club … where the Steelers QB allegedly sexually assaulted a young woman in the bathroom. According to people at the Velvet Elvis, Ben was very friendly inside his establishment — even taking pictures with fans. We’re also told Ben was “not inappropriate at all” — though we’re told Ben did have one beer while inside. OK Go – Here It Goes Again from OK Go on Vimeo. previous post: Asbestos Mesothelioma Lawsuits – Do They Bring In The Adsense Cash? 50 queries in 0.597 seconds.